Holmes and Russell go to Japan for a little rest and relaxation after their outing to India. This mystery has a bit of many things: a blackmailer, shipboard intrigue, foreign destinations. And, since it is a mystery, there is murder and the theft of a valuable and dangerous book. 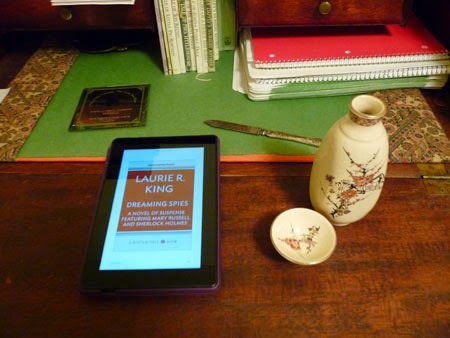 For Dreaming Spies Laurie R. King has done her research. You can imagine life on board an ocean liner in the elegant 1920s. After which, you make your way on foot and railway through Japan while learning about the countryside, culture and political situation. I liked the first books in the series, although the fact that Mary Russell meets the very mature Sherlock Holmes when she is an adolescent is troublesome. And the whole premise requires of me a very large suspension of disbelief. The skills of Russell and Holmes know no bounds. I did enjoy the description of the Bodleian Library. If you like this series, you will like this tale. If you haven't read the series you might want to start at the beginning. I received an e-copy from Netgalley. 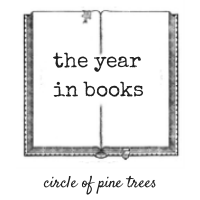 The Year in Books book for March is Annie Sullivan and the Trials of Helen Keller by Joseph Lambert.